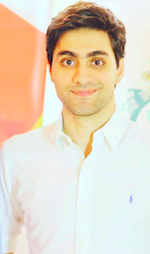 Ahmad is the MEA regional manager for Techstars, Entrepreneurs in Residence at Aliqtsadi, and advisor at both Jusoor, and Techfugees. He has a blog that tackles the power of the sharing economy and wrote the book "Entrepreneurship In Conflict Zones." You can follow him on Twitter at @ahmadsb_.